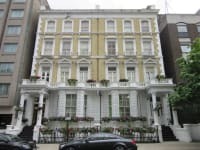 In the heart of Kensington, 1 Lexham Gardens offers stylish, good value accommodation, a short walk from Earl's Court Underground Station and its' direct service to Heathrow Airport. The comfortable rooms have contemporary decor, en suite facilities and a flat-screen Freeview TV. An inclusive continental breakfast is available. 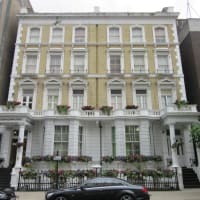 Earl's Court Exhibitions Centre is nearby and the hotel is within easy reach of Kensington High Street, Hyde Park, Kensington Museums and Knightsbridge. Free Wi-Fi internet access is available to guests.